Bangkok, Thailand -- In every change there is always a chance. This saying is true not only in business, but also for Buddhist nationalists in Thailand who are trying to make Buddhism a national religion under a new constitution that is being drafted. At present it seems the winds of change are blowing in their favour, but they have not considered the full implications of appointing Buddhism as the National Religion, which would give empty pride to the majority of Thais who, sadly, have little awareness of what is going on in their own religion. The nomination of a National Religion is not only undemocratic; it would be oppressive to other equally nationalist Thais who are not Buddhists and hurt the peace process in the South. And it would mean nothing, in practice, for Buddhist monks under the oppressive Ecclesiastical Act of BE 2505 (1962) which was issued during the military dictatorship of Field Marshal Sarit Thanarat, based on the assumption of Buddhism as Thailand's national religion. According to the Lord Buddha, the Sangha or the Buddhist Community, is the family of monks and nuns who respect each other according to their seniority of ordination. It serves not only as an institution for spiritual development with healthcare and freedom of education, it also has system of regulations independent of the state. 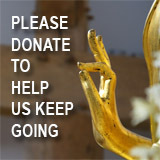 The Buddhist community has survived for over 2,000 years in many countries without support from government. 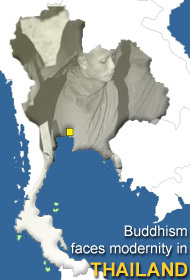 There is a huge defect in the Ecclesiastical Act, which was written to impose a feudalistic structure of administration on top of the Sangha, wherein the once universal brotherhood among monks has been eroded and their rights as citizens of Thailand sacrificed to the security of the feudal hierarchy of their superiors. Under this Act, all Thai monks are ruled under a feudal system, another state within the kingdom wherein abbots serve as state officers and they have authority to rule over their temples. A rotation of positions is not included in this system. One outcome of this law is seen in the Thai language: the original meaning of Sangha as a ''community'' has been lost. Now the word ''sangha'' in Thai means an ''individual monk''. Unbelievably, in Thailand where monks are highly respected, under this feudalistic law monks who apply for citizen ID cards at any local office of the government are threatened with being defrocked. Also, monks have no right to apply for passports without consent from each member of their ecclesiastical hierarchy, which normally takes months to complete before the application form can be forwarded to the Ministry of Foreign Affairs. Monks who are liberal, reformist, or those who disagree with any policy of the Ecclesiastical Council risk getting no consent for their passports, and thus no freedom of movement. They are also barred from communicating through any form of state-run public media. Taking comfort in the feudal culture of the Thai clergy, the Ecclesiastical Council of Thailand never endorses any bills, document or policies of the United Nations which endorses rights or equality among people. The clergy's oppressive system is not its only problem. The monks' education system also needs much improvement. Currently, there is no teaching of Thai culture, society, history or geography in the ecclesiastical syllabus. All these subjects have been classified by the monastic council as merely secular. While Pali literature is promoted by the Ecclesiastical Council, the only text is an archaic one on Pali grammar composed by a princely monk, formatted like the Victorian English grammar book, making it extremely difficult for students to comprehend. This text also prevents them from understanding Pali grammar as taught in other Buddhist countries, such as Sri Lanka and Burma. Instead of studying the Tripitaka, the canonical literature of Buddhism, the Ecclesiastical Council views that the Tripitaka is too holy for anyone to study or interpret. With this reason, they include only commentaries, mostly written by the monks of Mahavihara temple in Sri Lanka in the 5th-10th centuries AD as their set texts, second-hand literature written 1,000 years after the Buddha. Up till now there has been no attempt by any government of Thailand nor the Ecclesiastical Council to change the syllabus because it is bound to the old, feudal royal ties. Unlike the Tripitaka, the commentaries have no room for radical analysis or criticism. 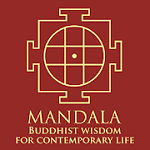 They focus mainly on defending the Buddhist faith and glorifying Lord Buddha by miracles and supernaturalism. These stories do not encourage monks to be aware of their social responsibility, blaming all vicissitudes of life on past karma or conduct. The impact of such commentarial literature is present and clear in every Theravada country: status quos are endorsed; women are seen as inferior creatures; all inequalities in society are seen as displays of the Law of Karma and all victims deserve their fate and humility; all this makes social development planning almost impossible. It is not surprising that instead of being a religion of peace and wisdom, Buddhism in Thailand fosters supernaturalism. Many high-ranking monks in Bangkok are astrologers, masters of the occult arts or entrepreneurs in the amulet industry, making Thailand one of the world's largest amulet producers. The amulet market, also controlled by the Ecclesiastical Council in Thailand, is as lucrative as that of the underground lottery: billions of baht circulate in this business daily, and it is all tax-free. Buddhism in Thailand is in need of radical change - but not through the grandiose status of a National Religion. Rather, we need a separation of Church and State, so that Buddhism can be freed from governmental control and the feudal lords of the Ecclesiastical Council. It will be good not only for Buddhists, but for the development of democracy in Thailand. Mettanando Bhikkhu is a Thai Buddhist monk and a former physician. He is special adviser on Buddhist affairs to the secretary-general of the World Conference of Religions for Peace.